How long does a dental filling last ? There isn’t a correct answer to this questions because there is a lot of factors when a dental filling is placed. 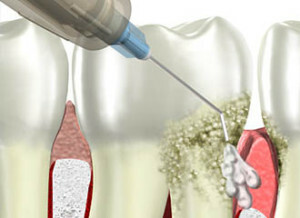 Factors include what type of material is being used, if the technique of placing the filling was correct, and patients oral hygiene. There are also different life spans for certain dental materials. Amalgam fillings or better known as silver fillings are very strong, durable, and can withstand a lot of the wearing down. The life span of amalgam can last from 10 to 15 years plus depending on patients oral hygiene. Your dentist will notice when it’s time to replace the filling. The silver fillings will begin to break, leak or shrink, and it’s at this moment the filling will need replacing. This material works great when it’s allowed to set correctly. Composite fillings or white fillings are the most popular type of filling restoration. This type of fillings require to drill less keeping more of your tooth structure. The average life span of white fillings is about 7-10 years. These filling also shrink with time, they can also break or come off. It requires a good technique to place this material, the working area has to be kept dry at all times to see the best results. Oral hygiene plays a huge role in maintaining your current restorations. Brushing and flossing daily to keep any bacteria from forming on the restorations. Wearing a night guard if you suffer from bruxism. If you grind your teeth and don’t wear a night guard it’s a good idea to speak to your dentist. This will prevent any wearing down of the teeth and fillings. Visiting your dentist when schedule or whenever there is a dental emergency will also extend the restorations life span. This entry was posted in dentist, santa ana, smiles on bristol and tagged dentist in santa ana, How Long Does A Dental Filling Last?, santa ana dentist, Smiles on Bristol on June 20, 2016 by Francisco Torres. Discomfort after dental fillings, is very common. You might feel sensitivity to cold liquids, sweet foods, and when biting down. These are very common for a few weeks but get better during time. 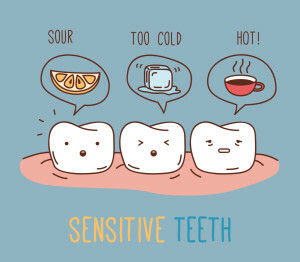 The best option is to avoid anything that’s causing the sensitivity on your teeth. It is also recommended to switch to a toothpaste that helps with sensitivity. Sensitivity is normal for a few weeks, throbbing pain is not. If you feel throbbing pain consult with your treating dentist to make sure there isn’t a major problem. Fillings are used to replace the decayed area of a tooth. The decay area has to be removed so the cavity doesn’t grow and create a major problem. The type of filling depends on your dentist and what works best for you. In Smiles on Bristol Dentistry in Santa Ana we use white composite fillings for our patients. If there is a large cavity there is options to protect the tooth, like a base liner that works like a wall between the dentin and filling creating less sensitivity. There are other options you have like desensitizer, this all depends on your dentist choice and what works best for you. Discomfort when biting down is also very common. This can mean that the occlusion of your teeth can be a little high causing the discomfort when you bite down. This can be fixed by your dentist; he has to adjust the occlusion of the filling. If the discomfort stays, then there might be a bigger problem. If you have throbbing pain it can be that the tooth is no longer healthy. You might need a root canal treatment to get rid of the throbbing pain. In some rare cases, some patients might be allergic to amalgam fillings. If this is the case it’s very important to let your dentist know about any medical condition. If the treating dentist is informed, he will put the filling that works best for you. If your discomfort is from cold liquids and sweet foods, this usually takes a couple weeks for the sensitivity to go away. There is also a slight chance that you might feel discomfort when flossing after an interproximal filling has been placed. This can be that the tissues are irritated and the discomfort will go away. It’s very important to continue to floss. This entry was posted in dentist, santa ana, smiles on bristol and tagged dentist in santa ana, Discomfort After Dental Fillings, santa ana dentist, smiles on bristol dentistry on June 16, 2016 by Francisco Torres. 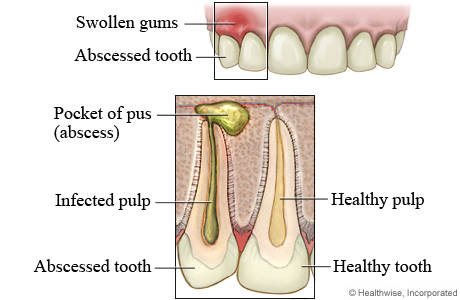 Dental Abscess is a collection of pus that is caused by an infection. The abscess can occur in different regions of the tooth, and are more common in people with low oral hygiene. The most common type of abscess is a periapcial abscess. These form when a caivty is not treated and the caries begin to destroy the enamel and dentin. The damage cause bacteria to go into the pulp and causing infection. An abscess can also grow from a nerve that dies from injury or trauma, the dead tissue is more prone to infection. There are many symptoms that typically come from dental abscess. You might feel a constant throbbing pain on a tooth, swelling around a tooth or area of infection, or redness of mouth and face. More advance symptoms are fever and swelling of your face. It’s very important to see your dentist after any signs or symptoms of a tooth abscess. If you have trouble breathing or swallowing go to an emergency room, it can be that the infections is spreading. The best way to diagnose dental abscess is by going to your dentist for an exam. In the exam they will take an x-ray to see any abnormalities or abscess. Another way to diagnose is by tapping your teeth, the tooth with abscess is usually sensitive to touch or pressure. In more severe cases a ct scan is recommended to see the extent of an infection. Our Santa Ana Dentist Dr. Danial Kalantari does a series of test, from a visual exam, x-ray of a tooth, and the tapping test. There are different ways to treat dental abcess. The objective is to get rid of the infection and one way is by draining the abscess, your dentist will cut a small opening in the abscess to deain it out, and then rinse to clean the site. If the tooth is not repairable then your dentist will have to extract the affected tooth, and drain the abscess. The most common type of abscess are periapical and the way to treat them are with root canal treatments. Your dentist will remove the affected pulp and drain abscess to help get rid of the infection. All these treatments work great, your dentist will choose the best option based of your case. Antibiotcs are usually prescribed after all these treatments. This entry was posted in dentist, santa ana, smiles on bristol and tagged Dental Abscess on June 9, 2016 by Francisco Torres. 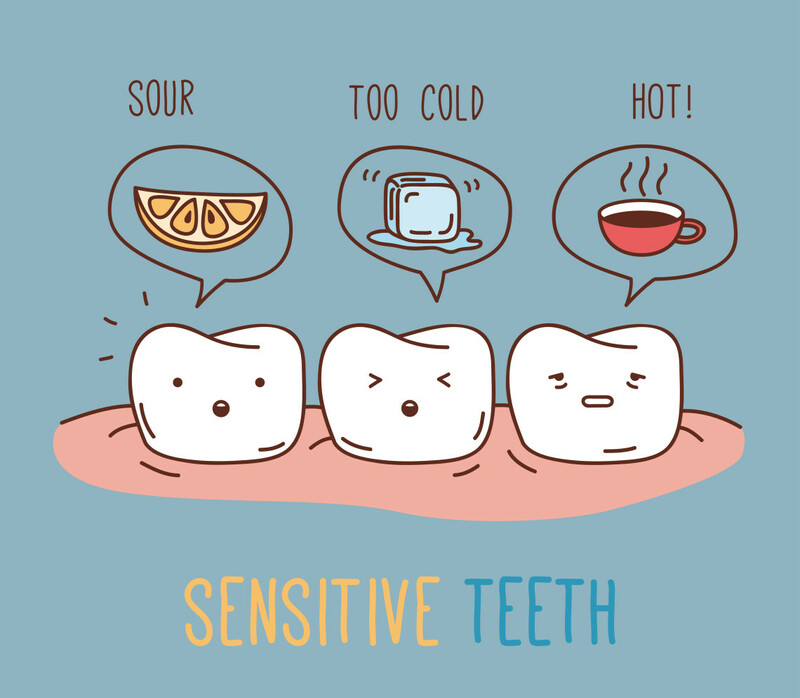 Have you ever experience sensitivity on a tooth after it has been filled? If your answer is yes, then you are not alone. It is common to feel sensitivity on a tooth that has been filled for a couple of days sometimes weeks. This all depends on how large was the cavity that was filled and what type of restoration was used to replace the missing tooth structure. The type of restoration that is used, plays a very important role in how much sensitivity you are going to feel. Amalgam restorations are known to cause little to no sensitivity. White composite fillings are more common for patients to feel some type of sensitivity. At Smiles on Bristol Dentistry our Santa Ana Dentist Dr. Danial Kalantari recommends to his patients desensitizer if the cavity is large. Desensitizer is a material that is placed before the filling so that the patient doesn’t feel sensitivity on the tooth after the treatment. The brand of desensitizer that is used in the office is called Gluma. Gluma works by blocking the microscopic tubules that compose the dentin. The objective of desensitizer is too reduce and prevent hypersensitivity. 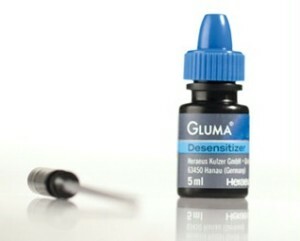 Desensitizer can be used on more than just dental fillings. Desensitizer can be used on crown preparations, bridges, inlays and onlays, veneers and temporary restorations, tooth neck erosion, exposed dentin, and hypersensitive teeth due to gingiva recession. Once it’s placed it can treat and prevent hypersensitivity for about 9 months sometimes longer. Having the option of a desensitizer is great because it can eliminate the option of brushing with a toothbrush that treats sensitivity. This entry was posted in dentist, santa ana, smiles on bristol and tagged dentist in santa ana, Desensitizer, santa ana dentist, santa ana dentistry on June 8, 2016 by Francisco Torres. In our recent blog we talked about patients that do not schedule dental appointments because they are terrified of needles and dentist. They miss appointments and jeopardize their health, avoiding the dentist and creating more of a problem in their oral health. This is dangerous especially when there is periodontal disease involved. Periodontal disease has to be taken care of A.S.A.P. and the way you treat periodontal disease is with a deep cleaning. For the deep cleaning also called SRP, local anesthetic is involved. The reason why the local anesthetic is involved is so that the patient doesn’t feel pain when the dentist or dental hygienist is removing calculus from below the gum level. What if I was to tell you that in Smiles on Bristol Dentistry in Santa Ana there is a way to do your SRP (deep cleaning) WITHOUT local anesthesia? So imagine getting your teeth cleaned without feeling your cheek or face numb. There is new method called oraqix. Oraqix is a needle-free subgingival anesthetic, that is used on adult patients that need local anesthetic in periodontal pockets during deep cleaning. Oraqix comes in a gel form, and it’s a combination of lidocaine and prilocaine, when combined they create an anesthetic effect. The oraqix gel is applied to the patients gums and pockets of the teeth and in as little as 30 seconds the patients begin feeling the effect. The anesthetic effect begins to wear off in about 20 minutes of when applied, it can be reapplied as needed. This entry was posted in dentist, santa ana, smiles on bristol and tagged dentist in santa ana, Oraqix, santa ana, santa ana dentist on June 7, 2016 by Francisco Torres.